Allahabad is a place that touches your soul as much as it feeds your curiosity about India's past. Allahabad, now officially known as Prayagraj, is revered as one of the most important pilgrim spot for Hindus in India. 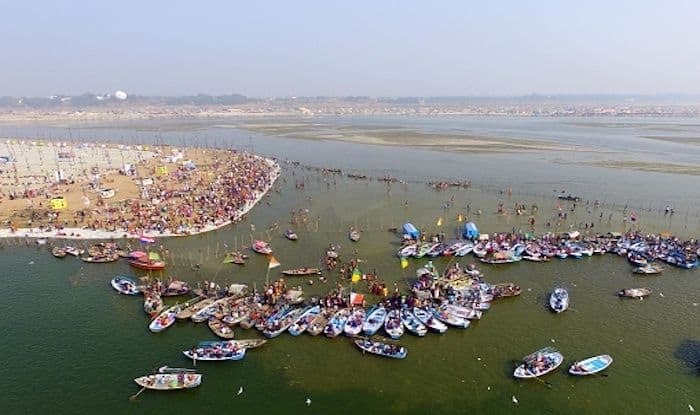 This year it was home to the Kumbh Mela – one of the grandest religious gatherings in the country. However, the city is home to a number of attractions as well that one must not miss for anything. It has an old world charm second to none; and here’s what you must see and do when in Allahabad. Head straight up to Triveni Sangam, the confluence of three major rivers of India namely Ganga, Yamuna and Saraswati. It’s where you’ll find peace galore if you just sit by the bank in the evening. The rivers can be distinctly identified; they’re all of different colours. Located next to the Triveni Sangam, Allahabad Fort is an architectural marvel, worth every bit of your time. The ancient fort is said to have been built by emperor Ashoka, and repaired by emperor Akbar in 1583. The fort comprises of high watchtowers as well as important monuments such as the Zanana Palace, Saraswati Koop and an Ashoka Pillar. For history buffs, Khusro Bagh – a walled garden which is home to three mausoleums – is an absolute must-visit. Built in Mughal style of architecture, the three tombs here are those of Mughal emperor Jahangir’s eldest son Khusaru Mirza and his family. The tombs are decorated with stone carvings and beautiful motifs. For those of you who wish to see how the Nehru residence looks like, before it was donated to the Indian Government by Indira Gandhi in 1970, head to Anand Bhavan. It used to be known as Swaraj Bhavan when the Nehru’s resided in it; today it’s a house museum that depicts the life and times of the Nehru family. The Jawahar Planetarium in the premises is a must visit too. Last but not the least, visit All Saints Cathedral, is a church displaying a striking Gothic revival architecture. The massive church is one of the most prized buildings in the city from colonial India.